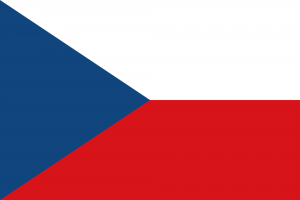 Amazingly, 2017 marks only the sixth time that the Czech Republic will compete in the Eurovision Song Contest. The debuted in the competition in 2007 and performed in 2008 and 2009. They then withdrew from 2010 to 2014 inclusive, before returning in 2015. Will their lack of match practise work against them in 2017? Or will 28 year old Martina Bárta be able to ascend to the top of the Eurovision heap? According to current betting, it’s unlikely; the Czech Republic currently in the bottom three out of 42 countries. Look, there’s a lovely sentiment expressed within the lyrics of the song; that, after her partner being there for her for many years, it’s now “My Turn” to return the favour. Sweet sentiment, simple song, but not outstanding enough to get people voting.